What do I need to finance a car? A valid driver's license, check with financial institutions regarding other acceptable identifications. Be 18 yrs. of age or older. Full-time employment or a guaranteed fixed income. Proof of Income, Check stubs or bank statements for cash jobs. Self employment or Small business owners may be required to provide additional requirements. Recent proof address. (less than 30 days) Utility bill, bank statement, mailed document. You have two financing options: direct lending or dealership financing. Comparisons. You have the chance to shop around and ask several lenders directly about their credit terms before you agree to buy a specific vehicle. Credit terms in advance. By getting financing before you buy the vehicle, you will know your rate and other terms when you are shopping. 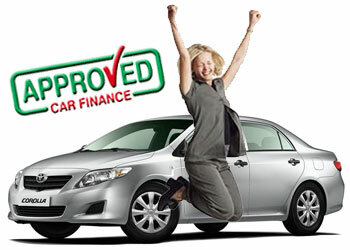 In dealership financing, another common type of vehicle financing, you get financing through the dealership. You and a dealer enter into a contract where you buy a vehicle and agree to pay, over a period of time, the amount financed plus a finance charge. The dealer may retain the contract, but typically sells it to a bank, finance company or credit union, called an assignee, that services the account and collects your payments. Convenience. Dealers offer vehicles and financing in one location and may have extended hours, like evenings and weekends. Multiple financing options. The dealer’s relationships with a variety of banks and finance companies may mean it can offer you a range of financing choices. Special programs. Dealers sometimes offer manufacturer-sponsored, low-rate or incentive programs to buyers. The programs may be limited to certain vehicles or may have special requirements, like a larger down payment or shorter contract length (36 or 48 months). These programs might require a strong credit rating; check to see if you qualify. Buying a used car can be a very tricky and stressful process. Each car has a unique history which can either work in your favor or become your biggest nightmare. We will share with you 5 simple ways to make your next car buying experience as easy and smooth as possible. You need to be very careful when buying a used car. One of the most important steps is to make sure to run a used car history report in addition to having a certified mechanic inspect the car on a lift. You can easily end up with a lemon or rebuilt car. When you see a horrific wreck on the highway you probably don't realize that many of those cars end up repaired, rebuilt and sold on the used car marked. Buying a used car however, if done properly, has its positives. For example, you will get more value for your dollar since someone else has taken the initial depreciation hit when buying new. Tip #1 - Find the right car for you. Often we search online for numerous services and companies. Should car buying be any different? Well you shouldn't just go out to used car dealerships and start the shopping process. Go to the local newspaper websites to view the automotive classifieds to view ads for cars that are close to you. However, to get the largest selection, you should search online using used car classifieds sites such as, Cars.com, Edmunds, Car Gurus, to name a few. Tip #2 - Check Vehicle History Report. With so many scammer out there. You should never buy a used car without first running a history report. If the VIN isn't clearly listed in the ad and the seller won't give it to you then move on to the next car. They are most likely trying to hide something. Since you are normally buying a used car "As Is," you will want to know about any problems before the purchase. We recommend a Car Fax report to be able to compare your next vehicle's history. 1. A valid Driver License. Matricula consular, Passport are a few other acceptable forms of ID. 2. Recent proof of address. Current utility bill or another mailed document (bank statement). 3. Recent proof of income, Check stubs or bank statements, Self employment and cash job requirements may vary. As you drive the vehicle turn the radio off and listen for noises, rattles, or grinding sounds. If you hear rattling in the quarter panels, the car may have been in a wreck. See if the car shifts smoothly. Check the heater and the A/C. When the A/C kicks on, listen for grinding noises, which can be a sign of the worn compressor bearings. As you drive check the alignment, see if the car bears to the left or right. See how the brakes are. Ask the seller when the brake pads were last replaced. Check under the hood to see how clean the engine is. Check the transmission fluid and make sure it's not black. Check the air pressure in the tires and check for uneven wear on the tread. Look for missing or burned out bulbs inside and out. If the car has retractable headlights, make sure they pop up and turn on. Make sure the brake lights, reverse lights and directional lights work. Tip #5 - Extended Warranties. If you buy a used car that is no longer covered by the manufactures warranty, you are at risk for expensive repairs. That's why an extended warranties are an essential part of the used car buying process. It's actually not necessary to acquire your warranty directly with the dealership. Carchex and Warranty Direct are two highly reviewed competitors offering extended warranties. If you buy a 3 or 4 year old used car, chances are that the manufacturer's warranty has expired, don't take the chance if you can avoid it. Here's a quick checklist you can print and bring with you when going to see your next used car.